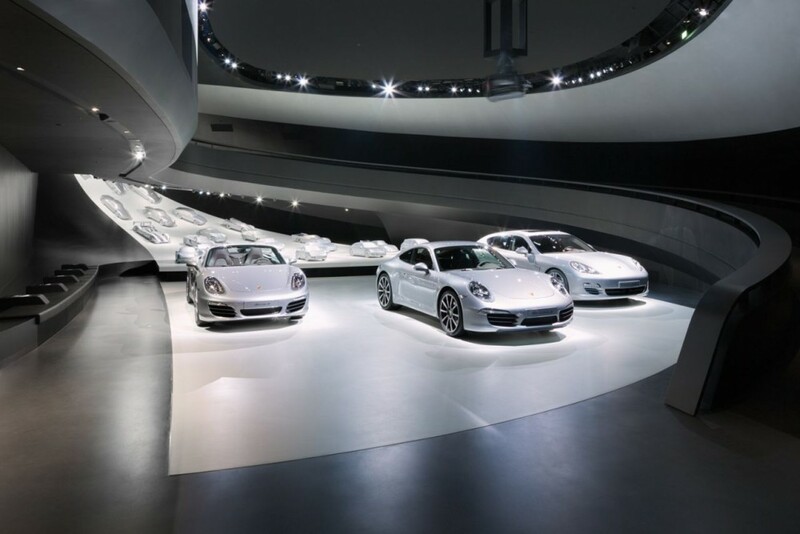 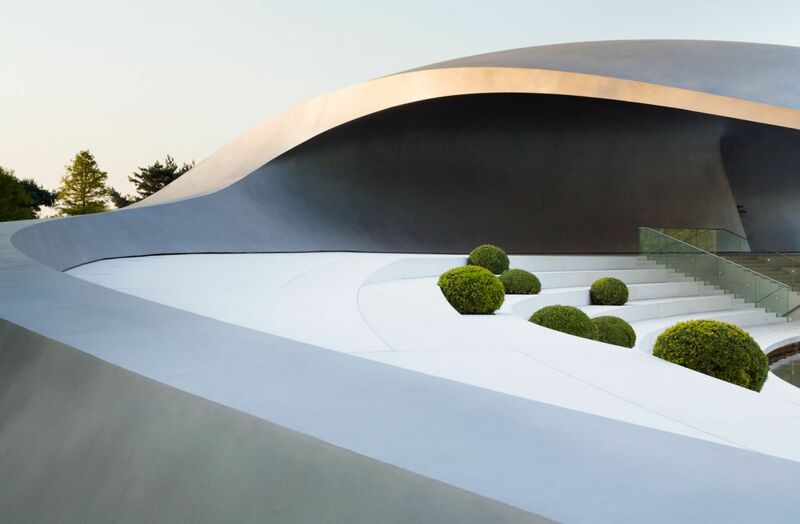 The new Porsche Pavilion is a creation by Martin Henn, Klaus Ransmayr, Paul Langley and rof. 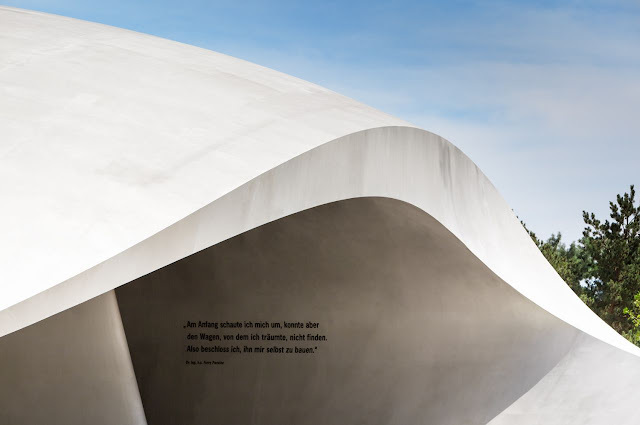 Dr. Gunter Henn of Henn Architekten. 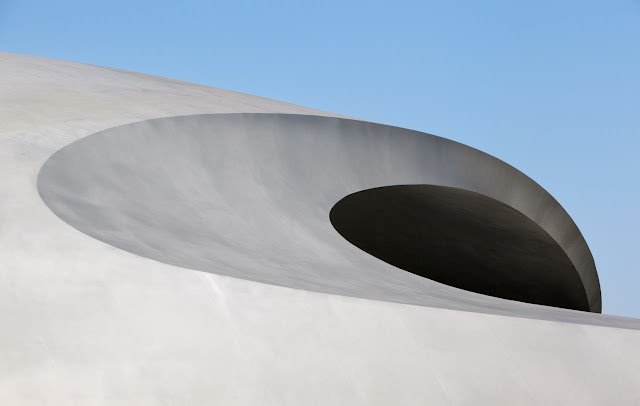 This wonderful free-flowing sculptural Pavilion pays tribute to the modernist architecture of Oscar Niemeyer in a refined and elegant way. 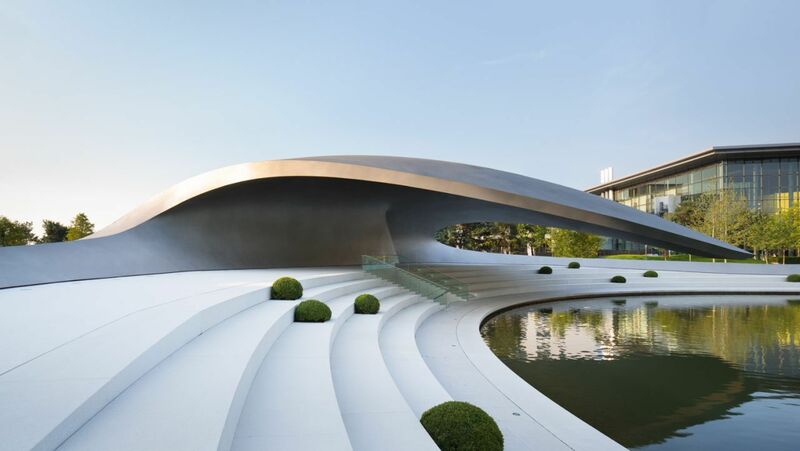 Curving lines and exciting bends make the Pavilion a dynamic yet reduced sculpture with its characteristics derived from the Porsche brand image. 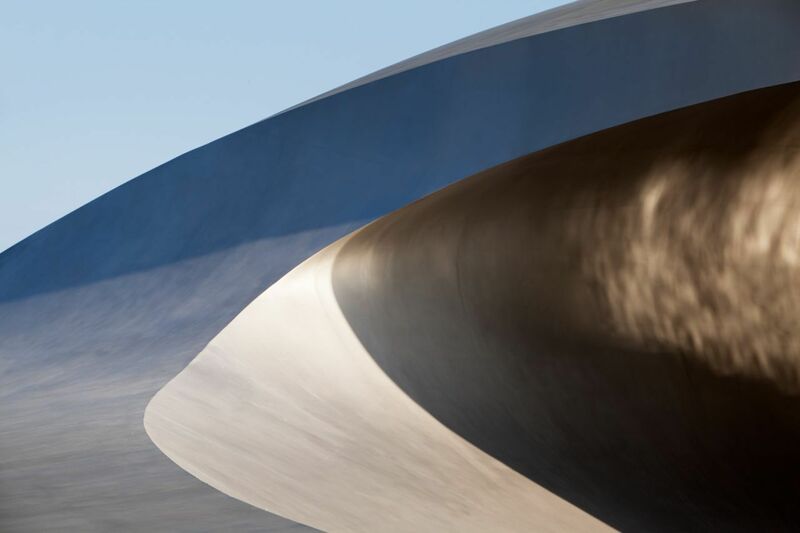 As designed by HENN, the structure captures the dynamic flow of driving with a seamless building skin. 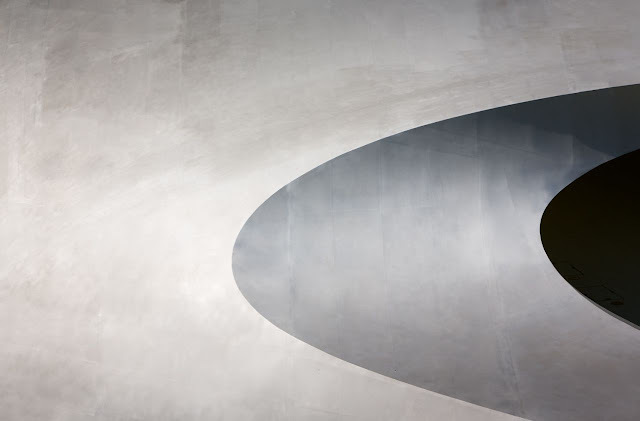 Its lines pick up speed and slow down just to plunge forward in large curves with ever-changing radii. 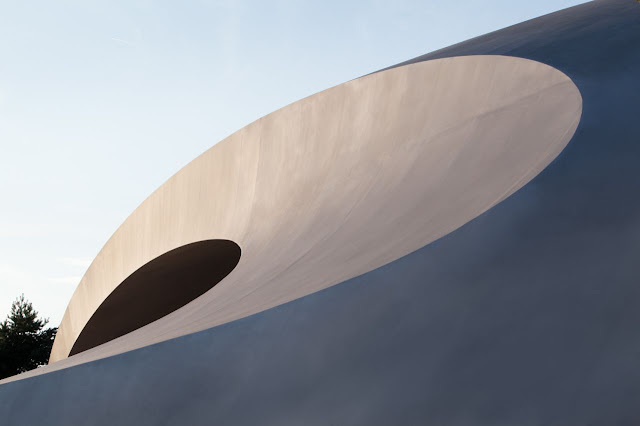 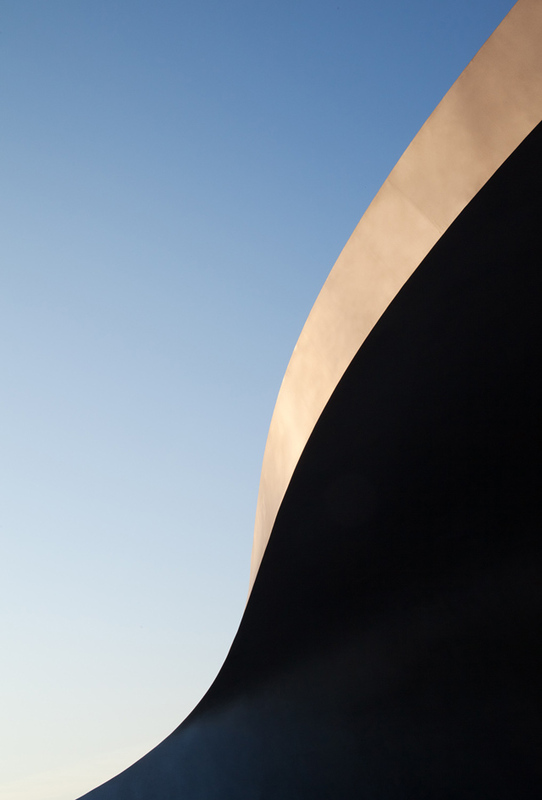 A matte-finished stainless steel cladding forms the flush envelope of this vibrant structure, creating the impression of a homogeneous unity, whilst creating a continuously changing appearance depending on light and weather conditions. 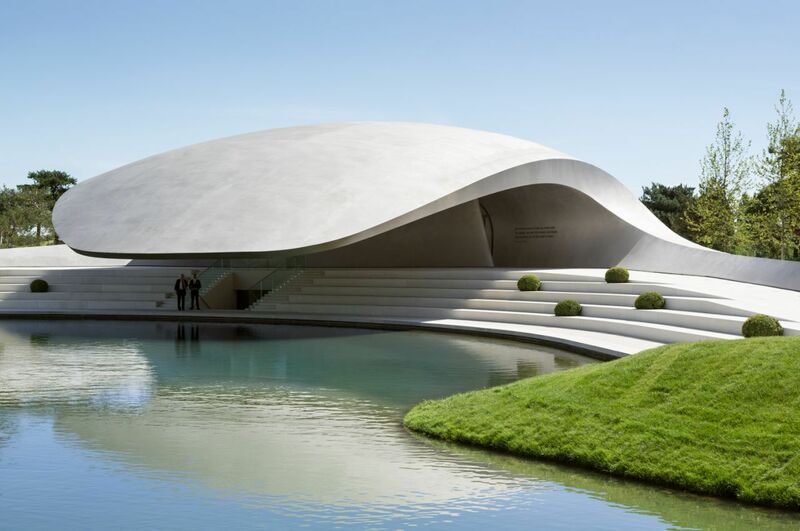 At the entrance the pavilion cantilevers 25m over the lagoon’s water surface in front. Below the cantilever of the large asymmetrical roof, a sheltered external space opens up. 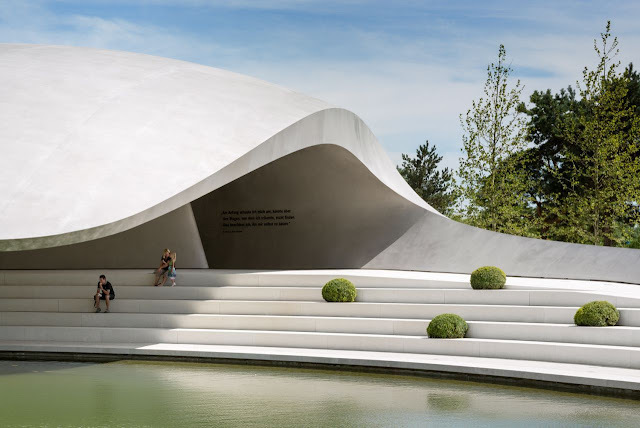 This space is visually connected to the surrounding landscape, but forms its own acoustic enclosure, providing seating for a few hundred guests. 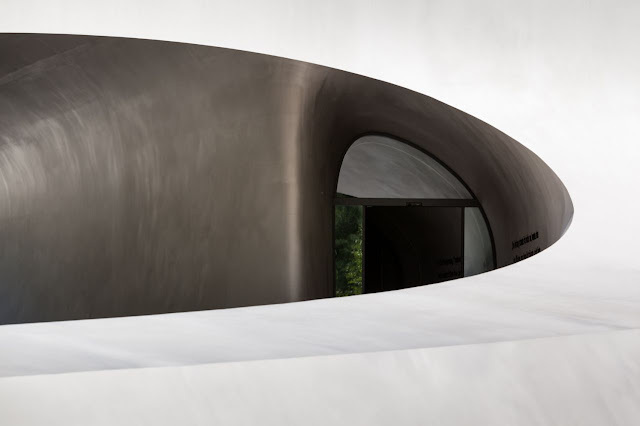 Architecture and landscape, interior and exterior as well as roof and facade are brought together by HENN in their architectural concept of a coherent, flowing continuum. The external area around the pavilion was designed by landscape architects WES and integrated into the overall concept of the theme park.